HomeMarket & TrendsReport by Adam Smith Institute: Does Laboratory Meat Have Potential to Prevent Food Crisis? Report by Adam Smith Institute: Does Laboratory Meat Have Potential to Prevent Food Crisis? Humanity is currently using natural resources 1.7 times faster than the planet’s ecosystems can regenerate, and has already used up all the resources naturally available this year. A new Adam Smith Institute report suggests that laboratory meat has the potential to save lives and the environment, and to prevent a food crisis. Due to an increase in meat consumption of over 330 percent, large areas will soon be devoted to meat production which could feed many more people if used to grow crops. Furthermore, greenhouse gas emissions from agriculture would be reduced by 78-96%, as 99% less land would be used. Other reasons for the report include the threat of food poisoning and an antibiotic resistance crisis due to factory farming. Both could be reduced or even eliminated by clean laboratory meat, as production takes place under controlled conditions. The advantages and the potential of clean laboratory meat have also been recognized by companies such as the American start-up JUST and the meat producer Tyson. 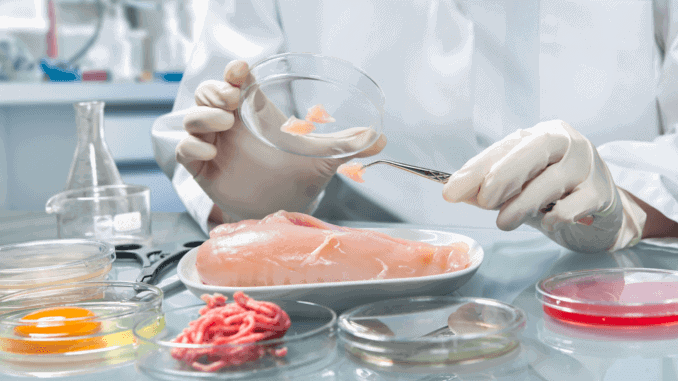 JUST has announced that it will launch Clean Meat in the form of chicken later this year, and Tyson has invested 2.2 million US dollars in the Israeli Clean Meat start-up Future Meat Technologies.